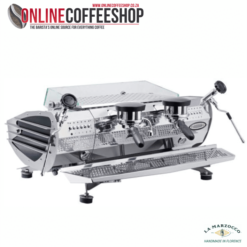 The La Marzocco Linea PB 3 Group AV Commercial Espresso Coffee Machine designed by and named in recognition of Piero Bambi, refashions the technical and stylistic workings of the Linea Classic, La Marzocco’s industry icon introduced to the marketplace over 20 years ago. 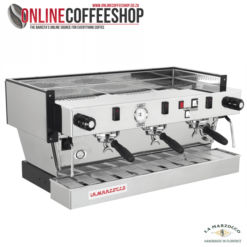 In addition to distinctive La Marzocco features, the Linea PB is equipped with exclusive, user friendly interface software that gives the barista control over boiler temperature, brewing volume, hot water tap dose and other options, ensuring a new level of performance and reliability. 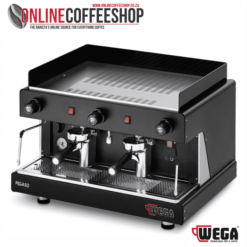 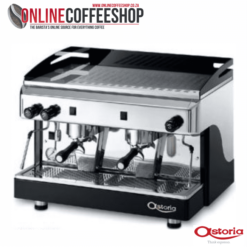 The machine’s lower profile and increased work area make it practical, without abandoning world renown Italian design. 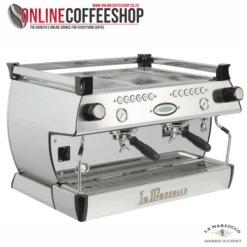 The La Marzocco Linea PB 3 Group AV Commercial Espresso Coffee Machine – designed by and named in recognition of Piero Bambi, refashions the technical and stylistic workings of the Linea Classic, La Marzocco’s industry icon introduced to the marketplace over 20 years ago. 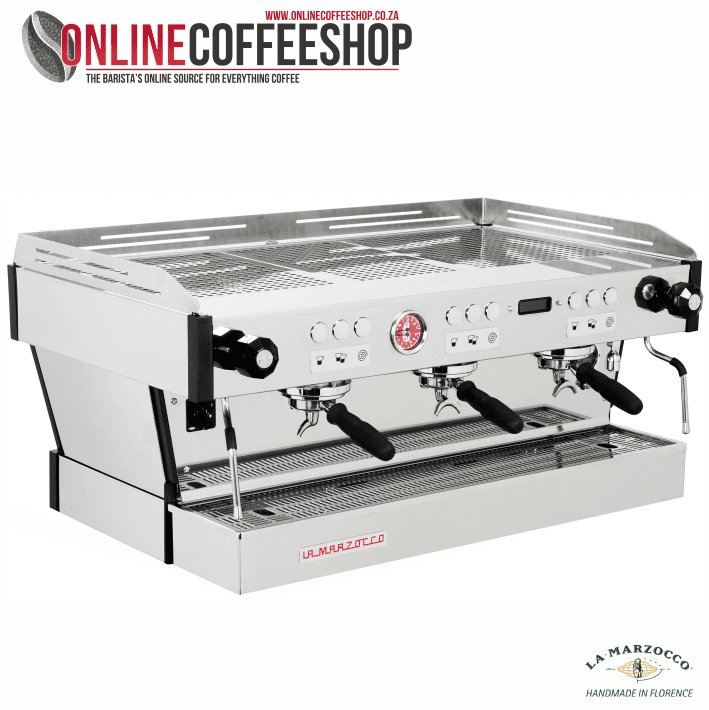 In addition to distinctive La Marzocco features, the Linea PB is equipped with exclusive, user friendly interface software that gives the barista control over boiler temperature, brewing volume, hot water tap dose and other options, ensuring a new level of performance and reliability. The machine’s lower profile and increased work area make it practical, without abandoning world renown Italian design. 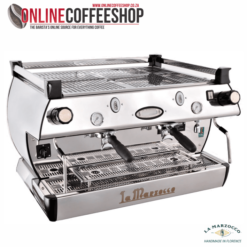 Named after the symbol of Florence, Italy – the lion – La Marzocco has been the leader in espresso machine innovations since 1927 – with the first double boiler, the first saturated group head, the first to commercially use PID controllers, and the first to introduce fully programmable pressure profiling. 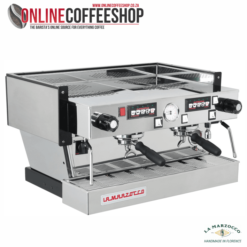 Since the 1980’s, La Marzocco has helped to build the speciality coffee community into the robust, quality-driven industry it is today.